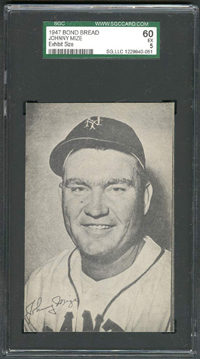 Despite losing three prime years to World War II, Johnny Mize still connected for 359 home runs, primarily with the Cardinals and Giants. He led the NL in homers four times and RBI three times. 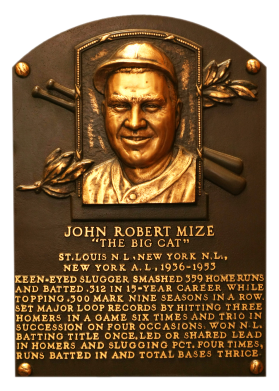 Sold to the Yankees in 1949, Mize played in five World Series, hitting three home runs in the 1952 classic. "The Big Cat" batted .312 lifetime, slugged .562, and drove in 1,337. Comments: The first Mize portrait I picked up was a 1948 Leaf card - a PSA 4 purchased via eBay in May 2002. I first upgraded to a PSA 6, followed by a PSA 7 in April, 2005 with another eBay win. 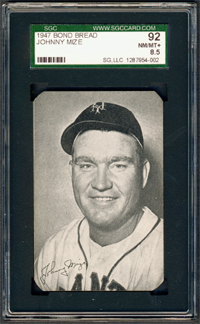 In December, 2005 I found the 1947 Bond Bread Exhibit size SGC 60 on eBay and pulled the trigger. 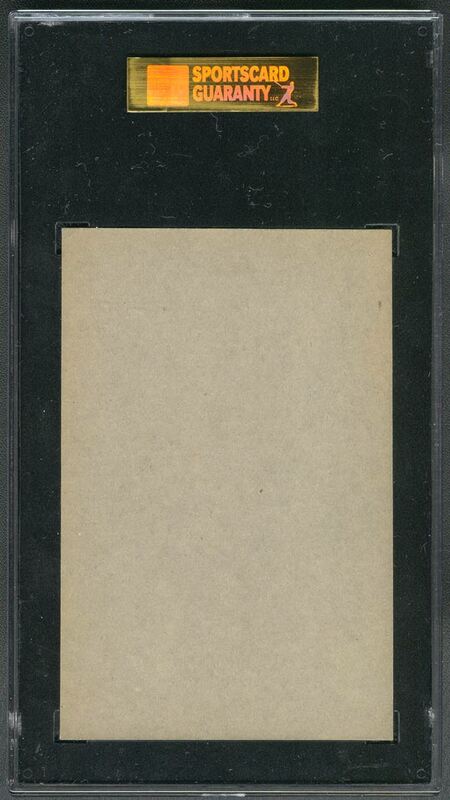 I already had a Spahn representing the 1948 Leaf set so this would give me a new type card. I supplemented the larger format card with a standard size example - a raw purchase on eBay from Kit Young Cards in November, 2010 with the idea of submitting it to a grading company someday. It was beautiful and fresh as the day it was produced. 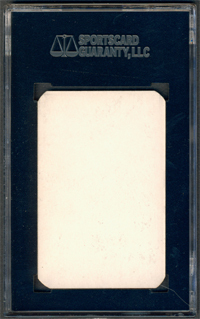 In August, 2011 I submitted the card at the National and SGC graded the card NM-MT+.